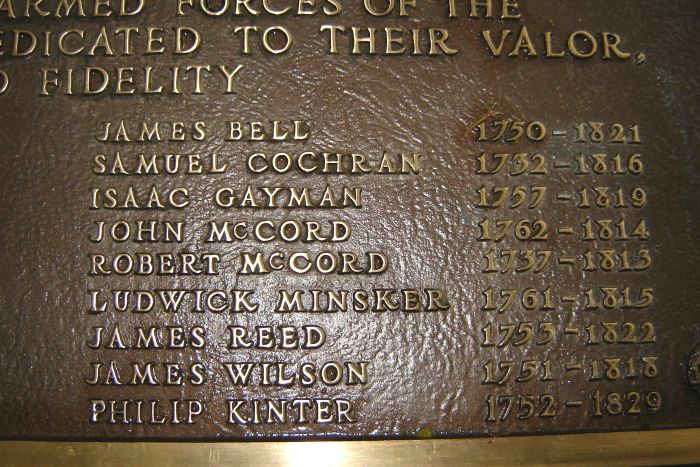 Detail of the Daughters of the American Revolution plaque showing the name of Ludwig Minsker Jr.
Daughters of the American Revolution plaque in the Dauphin Cemetery honoring the Revolutionary War veterans who are interred there. 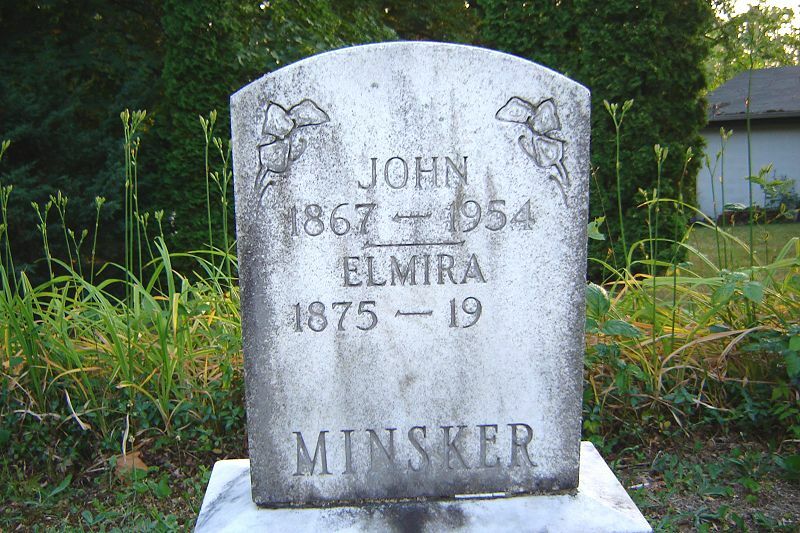 John Minsker was the son of Moses Minsker and the grandson of Ludwig Minsker III. 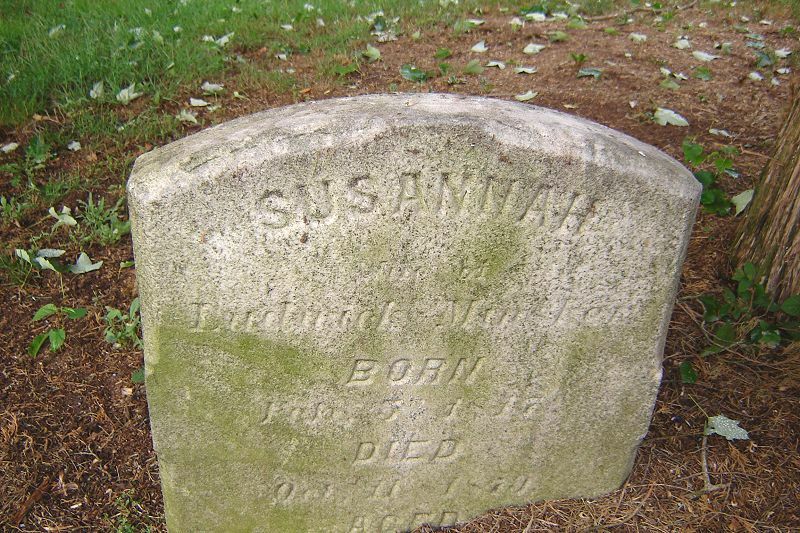 He married Elmira Fox (1875-1961). 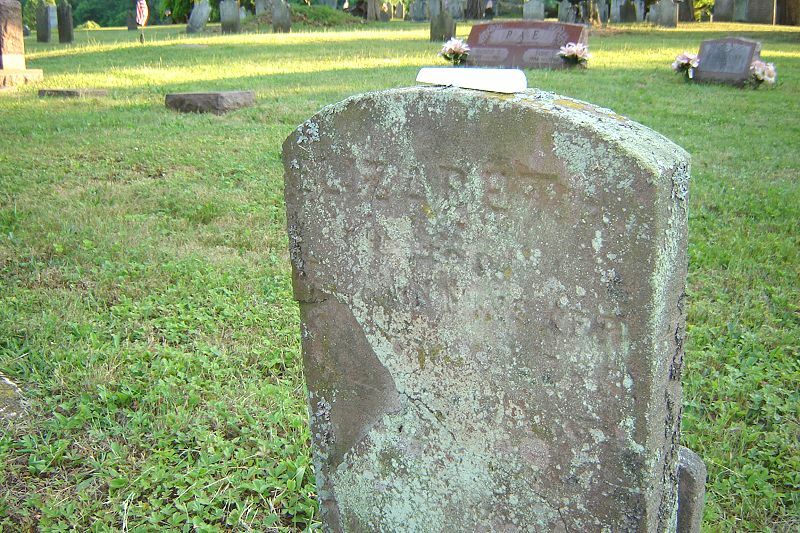 He was a major character in Conrad Richter's ode to the peaceful life he found in Clark's Valley, Valley from the Past I can only assume that Elmira is buried there; there is no date of death for her on the headstone. Benjamin Minsker, 1787-1842. Benjamin was the son of Ludwig Minsker Jr. and the father of Ludwig Minsker IV. 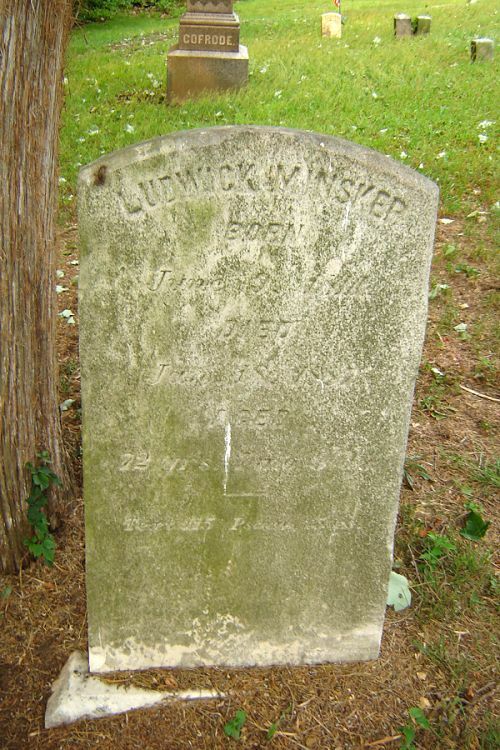 The headstone of Ludwig Minsker IV, b. 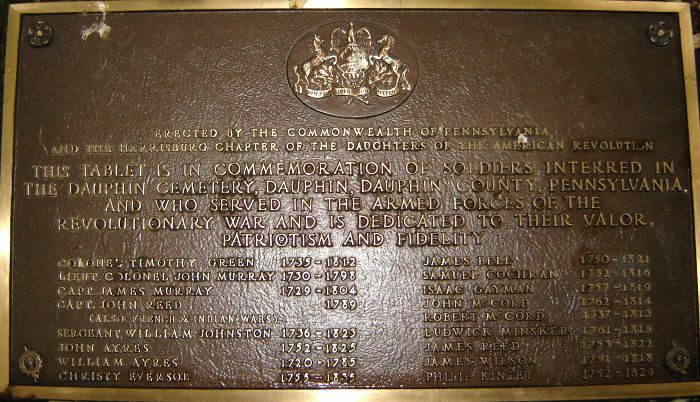 1814, d. 1887. 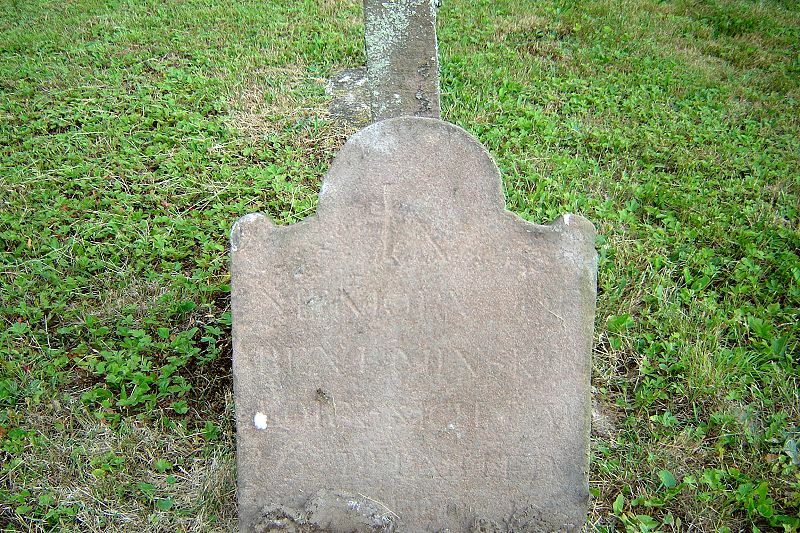 He was the son of Benjamin Minsker and the grandson of Ludwig III, who is buried in the old Minsker Cemetery in Clark's Valley. 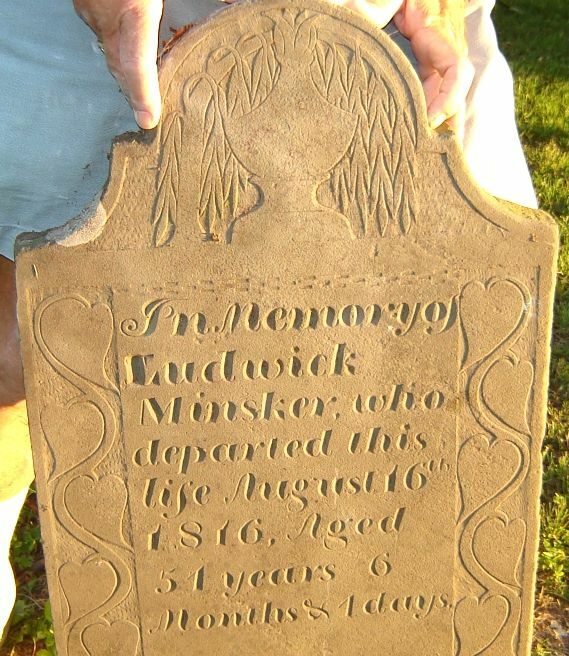 Another view of the headstone of Ludwig Minsker Jr.
Ludwig Minsker Jr, 1761 -- 1816. 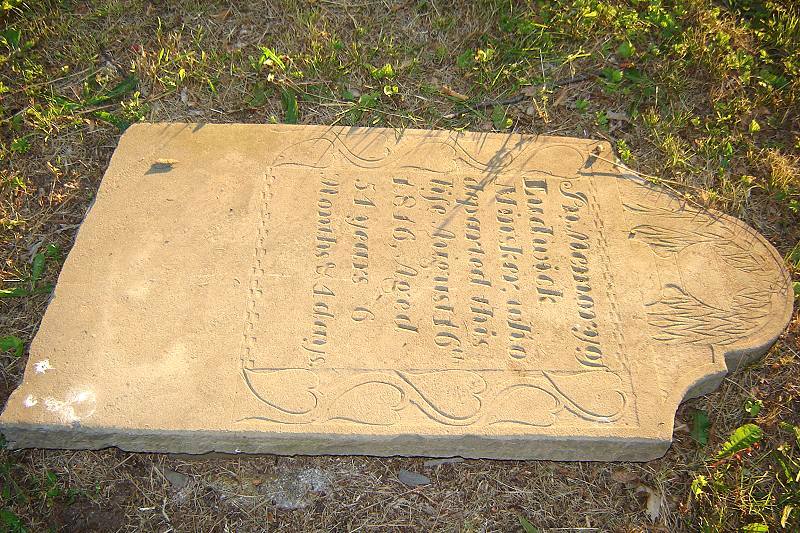 Apparently the headstone has either collapsed or been vandalized.